Vedran Corluka is a Croatian professional footballer who plays as defender for Lokomotiv Moscow and the Croatia national team. He is the captain of the team Lokomotiv Moscow. His shirt number is 14. His team mates are Dominik Livakovic, Ivan Strinic, Vedran Corluka, Luka Modric, Milan Badelj, Ivan Perisic, Mateo Kovacic and so on. He is famous for his outstanding performance in his professional life. He also plays as a centre back, though he has also played in other position across the defensive line as right back. Vedran Corluka is born on 5 February 1986 in Derventa, SR Bosnia and Herzegovina, SRF Yugoslavia. He is passionate and enthusiastic player. His father name is Jozo Corluka who is an engineer and mother name is Andja Corluka who is a judge. His nationality is Croatian. His birth sign is Aquarius. He graduated from Dinamo Zagreb Youth Academy before making his professional debut for senior team in 2003. Talking about Corluka body, his height is 1.92 m. His weight is of 84 Kg. His eye color is black and hair color is also black. He has balanced body with good health. 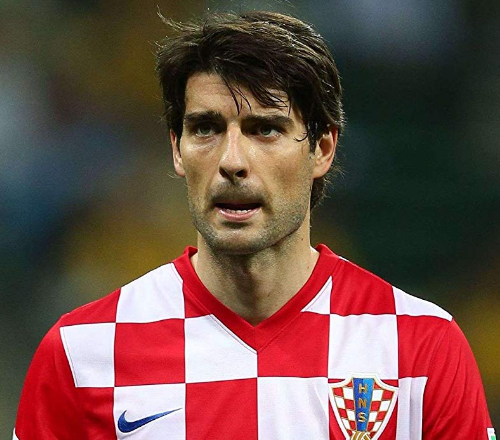 Corluka started playing football in Dinamo Zagreb’s youth team when he was eight years old. He helped the club win the Croatian First League title three seasons in row from 2005-2006. He also helped capture the Croatian Cup in the 2006 season. Corluka was signed by English Premier League Manchester City on 2 august 2007. He got entry in UEFA Cup qualifying round through the UEFA fair playing ranking. He also used to be defensive midfielder. Corluka signed the Totten ham Hotspur on six-year contract in 1 September 2008. During the match against Stoke City on 19 October he was severely injured. He was in the League Cup final and on 1 March 2009 he scored his Totten ham’s only penalty in the shootout loss to Manchester United. He received the runners up medal for his efforts. He scored his first Premier League goal on 3rd October 2009. Corluka signed on a loan for German Bundesliga club Bayer Leverkusen for the remaining of the 2011-2012 season on 31 January. He made his debut on January 4. He appeared in Champions League. Lokomotiv Moscow announced that the signing of the Corluka from Totten ham on 27 June 2012. He was signed for three-years’ contract. Corluka won the monthly poll among Loko supporters in social media and was named as the best club player of the month. He was also named as Teams Player of the year. 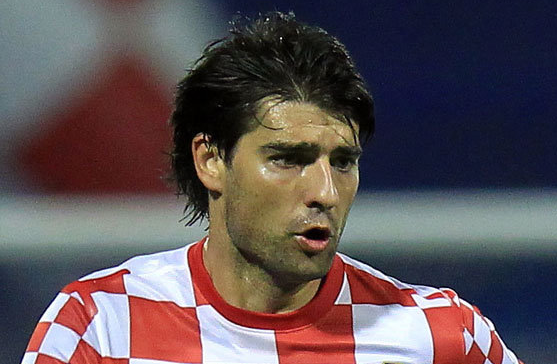 Corluka started to play for Croatia’s under-21 team and senior national team. He was one of the key player in UEFA Euro 2008 qualifying match. He was included for the squad for Euro 2012 in Poland. Corluka was named in 32-man squad for the 2018 FIFA World Cup on May 2018 in Russia. Croatia has played with Nigeria and won the match by 2-0, Argentina and won the match by 3-0 and Iceland and again won by 2-1. He has given the outstanding performance in the match. Corluka is tall, charming and lots of girls do like him. Many rumors were related to him but that is not true. In fact, he is in deep love with his girlfriend. They knew each other from a long time and even planning to get married. They seems to have a good mutual understanding among each other. Corluka net worth is estimated to be $5 Million. He earns salary of around 2 Million EURO. His earning sources are National team and Lokomotiv Moscow club.